Stocks ended lower Wednesday, as investors digested minutes from the Federal Reserve's last meeting and grappled with disappointing economic data. The Dow and S&P 500 shed more than 0.5%, and the Nasdaq lost 0.9%. Tech stocks have been hot lately though. 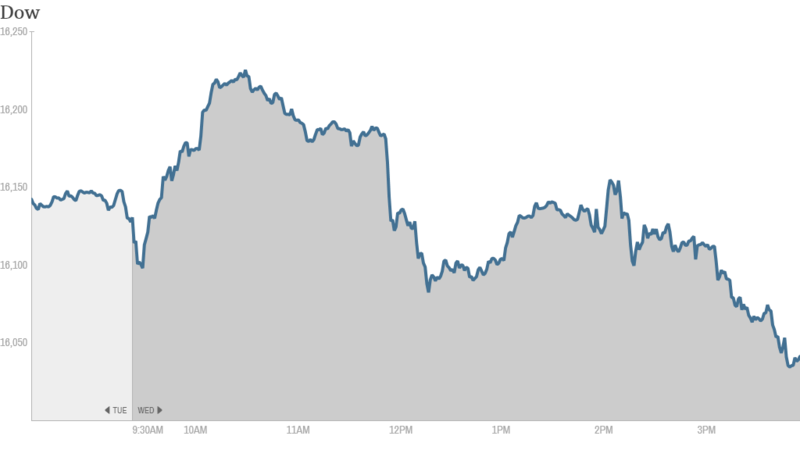 The Nasdaq has gained for the past eight days. The Fed released minutes from its January meeting in which it decided to further reduce, or taper, its monthly bond purchases. Though last month's decision to continue to cut back on its stimulus measures was unanimous among the Fed's 10 voting members, investors looked for hints of how the Fed might act in the future. To that end, the Federal Reserve indicated that it may scrap its 6.5% unemployment rate target for raising the key federal funds rate since the jobless rate is quickly approaching that threshold despite weak gains in hiring. Additionally, the minutes indicated that there were some Fed officials who debated the possibility of raising interest rates sooner than anticipated as the economy improves. The Fed has otherwise maintained that it intends to hold down interest rates for the foreseeable future until the economy is stronger. On the economic front, housing starts fell sharply in January, as bad winter weather took a hit on construction. Some analysts say markets should brace themselves for greater volatility this year after a bumpy start to 2014. "Sentiment may still be fragile after the big gains in equities over the past year and a half," noted Gary Thayer, chief macro strategist at Wells Fargo Advisors. "Further price volatility is likely in the weeks and months ahead." What's moving: The broader market was down. But some prominent stocks moved higher. Shares of Zale (ZLC) surged about 40% after Signet Jewelers (SIG) unveiled a deal to acquire the Dallas-based jewelry retailer for $21 a share. Signet shares soared 18%. The deal was a popular topic among traders on StockTwits. "$ZLC Wow. $ZLC longs now have enough $ to buy a piece of jewelry for every friend & family member," said LukeKramer. "Heck even the mailman gets a diamond." Trader ibex thought the deal was a good sign for the broader stock market. "When a jewelry company $ZLC sells for 41% premium, tells me the bull is still here for a while longer!" he said. Tesla (TSLA) shares rose sharply following the closing bell after the electric car marker's earnings topped expectations. Tesla said it sold a record 6,892 of its Model S sedans in the fourth quarter, and that it expects to deliver more than 35,000 of them this year. Investors are hoping for more news from CEO Elon Musk about plans to expand in China and introduce new models. GPS device maker Garmin (GRMN) reported an increase in quarterly earnings on a slight drop in revenue, sending shares up 10%. Spirit Airlines (SAVE) shares gained ground after the discount airline said that it more than doubled its adjusted net income for the quarter. 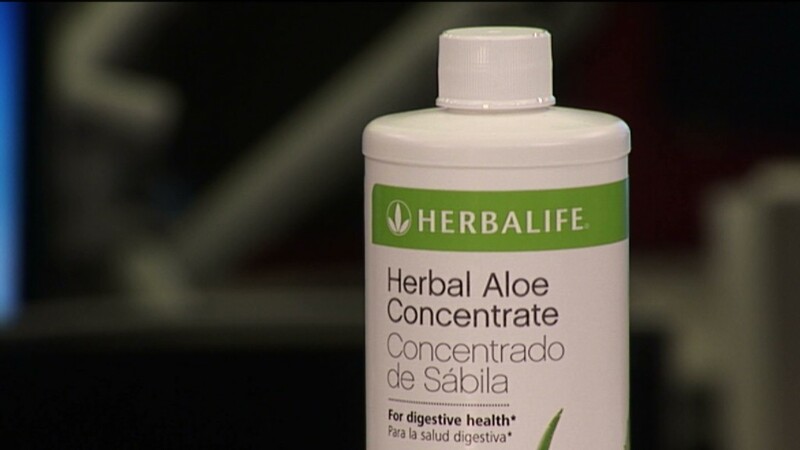 On the downside, Herbalife (HLF) shares slipped even after the controversial seller of nutrition products, reported a double-digit percentage jump in quarterly profit, fueled by sales in China. Hedge fund manager Bill Ackman has been claiming that Herbalife is a pyramid scheme and has been betting against the company for over a year. StockTwits traders noted that the company went after the hedge fund manager during its conference call with analysts. "$HLF had mentioned "short seller Bill Ackman" 3 times already," said bbolan1. "Calls him reckless, gambler...."
Another trader joked that Ackman rival Carl Icahn, who is a big investor in Herbalife, should become a corporate pitchman. "$HLF They should recruit Icahn to sell some products," Lincoln777 said. Meanwhile, shares of Facebook (FB) rose to an all-time high of $69.08, bringing the company's value to more than $176 billion. "Facebook is now bigger than Bank of America $FB $BAC," said TopstepTrader. Bank of America's (BAC) market cap is around $172 billion. The stock is the biggest gainer in CNNMoney's Tech 30 index this year. Traders seemed optimistic that Facebook will continue to climb higher. "$FB nothing is guaranteed in life except death and taxes but this looks like a high possibility of closing @ 69!" said ScalpingWS. "And tomorrow 70! glta longs. Bullish." And LynnHoggan predicted shares could rise another 40%: "$FB continues going up. $100 this year..."
European markets ended with modest gains. In Ukraine, the currency was under pressure as more than 20 people died during anti-government protests. Asian markets ended mostly with gains, except for Japan's Nikkei, which dipped by 0.5%.